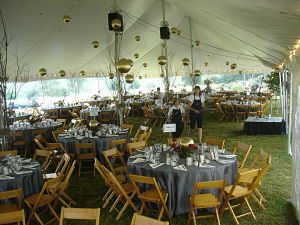 If you’re ready to change the feel of your auction, holding the event in a tent might do the trick. They have an almost romantic feel to them! Tents can be set up almost anywhere. I’ve worked inside tents set up in a backyard, a pasture, and the grounds of a museum. As explained in the video, tents are nice … but they do present special challenges as a venue.